NEW CANAAN — On Dec. 11 last year, Adiah Price-Tucker, a senior at St. Luke’s School was supposed to find out at 5 p.m. about a decision that would affect the course of her life: whether or not she had been accepted into Harvard. She had to wait another agonizingly-long 17 hours. The 17-year old student admits she couldn’t believe it. And neither could her mom, Alisha Price, a teacher at Hallen School in Bridgeport, whom she called moments after being notified of her acceptance. Price-Tucker, a Norwalk native, has been involved with Horizons, the New Canaan-based nonprofit that helps low-income students from Stamford and Norwalk since she was 5 years old in kindergarten. Before attending high school, Price-Tucker received the George E. Stevens Horizons Prize, a full-ride scholarship to St. Luke’s School in New Canaan, where tuition for grades 9-12 cost $41,740 for the 2017-18 school year. Price-Tucker calls her experience at St. Luke’s and Horizons a “blessing.” Her mother and grandmother both helped her get to school for the past four years: the former takes her to the bus stop and the latter picks her up once she returns home. Formerly a student at Norwalk public schools Wolfpit Elementary and Nathan Hale Middle School, the 17-year-old found her interest in social justice while attending the New Canaan private school. One of her teachers at St. Luke’s, Hunter Martin has known her since her sophomore year when she took his honors modern world history course and even up to her senior year as a Advanced Placement European history course. Price-Tucker visited Harvard in late April, finalizing her decision after concluding three-day experience. “Visitas (admitted students weekend) was what convinced me,” Price-Tucker said. “Everyone was welcoming and had interesting stories. There were also people who were very down to earth. Opportunity abounds for the St. Luke’s student. 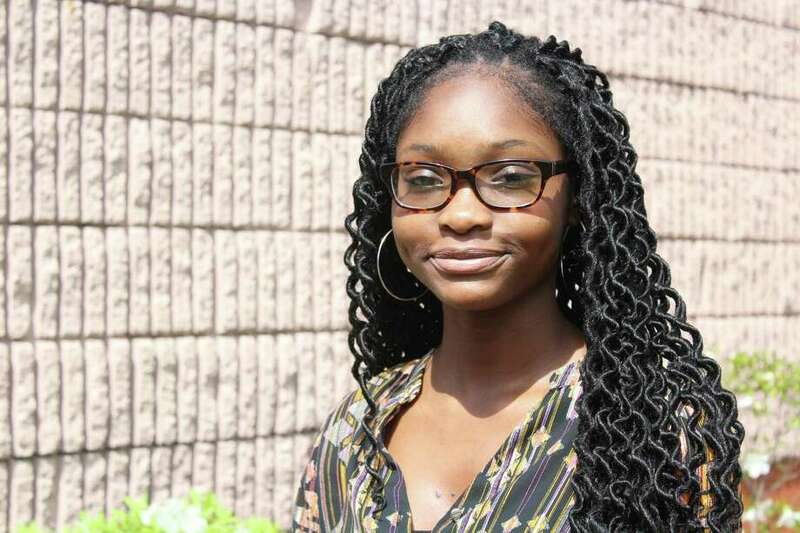 Though her interests may change, she’s currently dedicated to pursuing studies in public policy and education, eyeing a possible career as a lawyer. When asked if she had any regrets, the high school senior said she wishes she had tried more things like theater or joining the Model United Nations club but she added she may pursue those activities while in college. For now, Price-Tucker is enjoying a victory lap as the commencement ceremony on June 1 approaches. She was awarded Departmental Distinction awards in English, History, Science and her Mandarin Chinese Language courses as well as the St. Luke’s School 2018 Headmaster’s Award on Monday night. “I couldn’t have done it without my mom, St. Luke’s and Horizons. I don’t know where I would be without them,” Price-Tucker said.